For more than two years, the U.S. Copyright Office (USCO) has been actively seeking input from the public in its effort to reengineer its process for recording documents relating to copyright ownership. In March of this year, the USCO held public meetings to discuss the reengineering process, one each in Los Angeles, Palo Alto and New York City. An overhaul of the recordation process has been needed for a long time. The process by which copyright ownership documentation is submitted, reviewed, and recorded has changed little since 1870, when the USCO was first organized under the Library of Congress. This labor intensive process has been exacerbated in recent years by the increasing use of intellectual property as collateral in secured transactions resulting in the volume of recordation skyrocketing. In addition to increased volume, attorneys seeking to establish a clear chain of title are demanding increased scrutiny of existing records. Unlike copyright registration, which utilizes an online system, the existing document recordation system at the Copyright Office does not stand up to the new levels of volume and importance. The archaic paper-based system is too slow (regular recordation regularly takes twelve months or more) and imprecise. 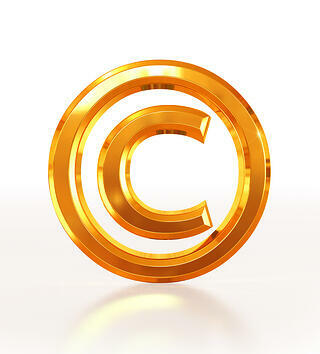 There is no requirement of a standard numerical format for listing a registered copyright in an assignment and prior registration is not even required to assign an ownership interest in copyrights. This makes linking a registration to an assignment in the USCO catalog very difficult, if not impossible. For parties who engage in secured transactions involving intellectual property collateral on a regular basis, this type of recordation system is terribly flawed. In the world of UCC transactions, an assignment of lien from one party to the next, of necessity not only has to match the original UCC lien on record, but it would never be accepted without the original UCC lien still on record. The USCO study of options for reengineering its recordation process is due to conclude in July, with recommendations to be reported to the Register of Copyrights, Maria Pallante. One of the biggest issues the USCO faces is not lack of awareness of the problem, nor the willingness of the Copyright Office to improve it, but obtaining funding for such a large undertaking. Budget approval from Congress will be required to institute any major changes. The USCO has named a new Director of Public Records and Repositories, under whose responsibility the recordation function falls. The Documents Section has also recently added staff, which should allow them to gain efficiencies in the recording process. While these are welcome short-term changes, we are hopeful that large-scale improvements to the increasingly important U.S. copyright recording process will be forthcoming.